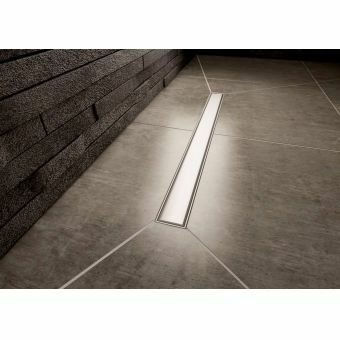 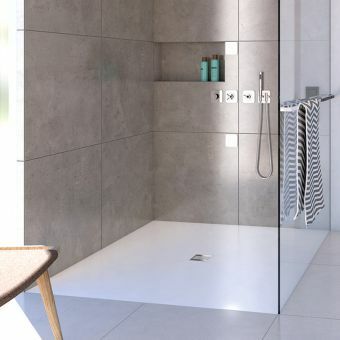 Offered as an alternative to its sister piece, the Aqua-Dec Linear 2 has just two sloping facets to allow for easier installation in rooms with tiled or awkward flooring. The Aqua-Dec Linear 2 makes for a quick and easy installation that does not require mitred corner tiles. 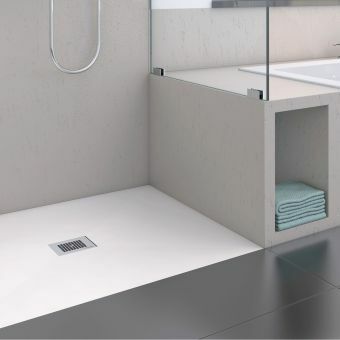 An attractive, central drainage piece is capable of dealing with higher rates of water flow from even the most powerful of showers. 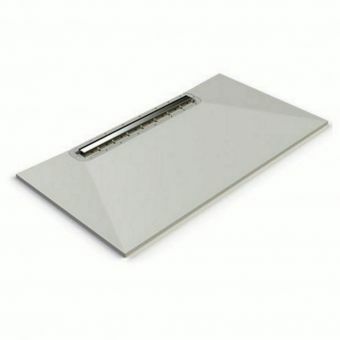 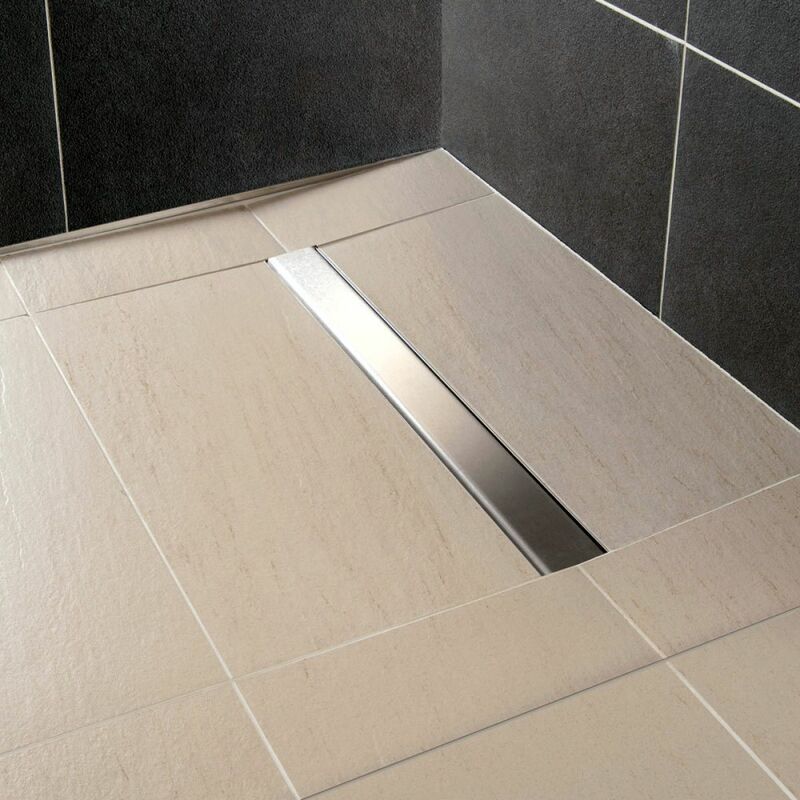 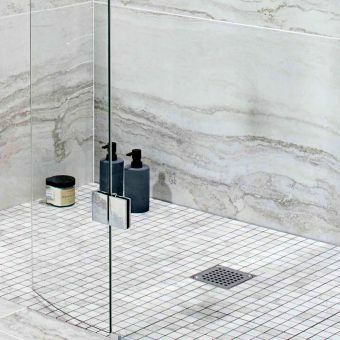 Supplied with stainless steel inserts to finish off the tile edges, this unit must be fitted flush to a wall, or enclosed with a glass shower panel. 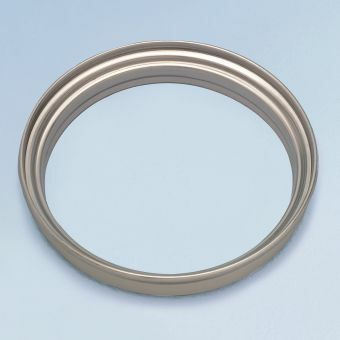 Please see additional items for optional waterproofing membranes. 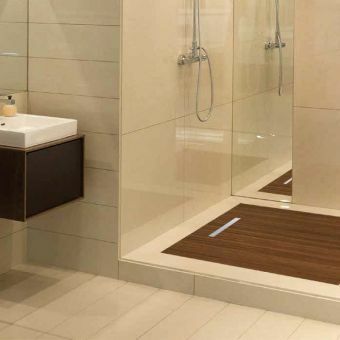 The Tilesafe membrane is a more traditional bitumen based system, while the Waterguard offers an easy-fit approach with a fleece-lined, adhesive surface.